The Internet has opened up a completely new world of options for Nevada residents. However, just because certain information is available does not mean that it is the best course of action to use it. This is especially true when it comes to estate planning for a variety of reasons. The first reason is that any forms found online will be generic and most likely cannot be tailored to an individual’s specific circumstances. They may be better than having nothing, but often not by much. 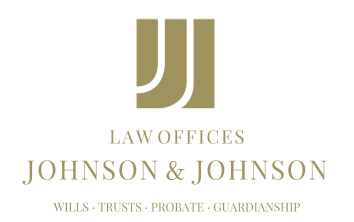 One of the most important reasons for having even a basic estate plan, which consists of a will, financial power of attorney and medical directives, is so that the state of Nevada will not dictate to whom a person’s assets are distributed upon death. However, there are so many other reasons for having an estate plan, such as reducing inheritance taxes or naming a guardian for minor children. Few people’s lives are so uncomplicated that seeking the advice of an attorney before creating an estate plan is unwarranted. For instance, it may be in the best interest of any children for their inheritance to be put into a trust. Minors are not allowed to own property, and few young adults are mature enough to handle a sudden influx of wealth and responsibility. An individual may be attracted to creating his or her estate plan without help, but there is no way to know whether the documents will be considered valid upon death. This could prove disastrous for family members who are left behind — especially children. It may cost more in the beginning to involve an attorney in a person’s estate planning, but the peace of mind it can provide him or her — and his or her family — is priceless.